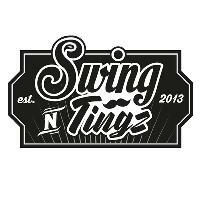 Ladies and Gentlemen it's been 5 whole years we've been throwing Electro Swing based parties in Bristol! Lots to announce, we're going to be drip feeding you what's happening on the lead up to the show but our advice....nab yourself a cheaper priced ticket while you can cause this is going to be a corker!! The Swinghoppers are a live act that take the feel good vibes of vintage Swing music and combine it with the swagger and energy of Golden Era Hop Hop! The result is something greater than the sum of its parts and is a show guaranteed to delight any crowd! Live 5 piece Blues band and hot dang these guys are fantastic live! Bring your dancing shoes! !